Me hoping my husband won’t walk in. These ARE the “good ol’ days”. For me, it’s my 2-year-old climbing into bed and snuggling with me 15 minute before my alarm goes off. It’s the glee and joy from our 3 boys playing with glow sticks. It’s Jackson's’ two missing teeth on bottom. Why it is that people like you, like me, like everyone, would fist save their loved ones and then grab their photos if their house was on fire before any other belonging? We all KNOW we would...but it’s really hard to describe why, isn’t it? It’s a feeling...in our gut, in our heart, not really in logic. I’ll give you my best shot at that answer. It’s because these images aren’t just a piece of paper, proof we really did exist and how we looked. Memories that were buried suddenly come rushing out. Things we had forgotten even happened since they happened. Our photographs are the bridge between forgotten and remembered. Between past lives, and lives re-lived as we tell our children and grandchildren the story of the photo. They say a picture is worth a thousand words...but when a portrait is paired with a story? When a portrait gives you the context of who the people are…..What’s THAT worth...INFINITELY more than a thousand words, in my opinion. I’ll be capturing people's “good old days” soon...both with 15 minute mini sessions and full family portraits. 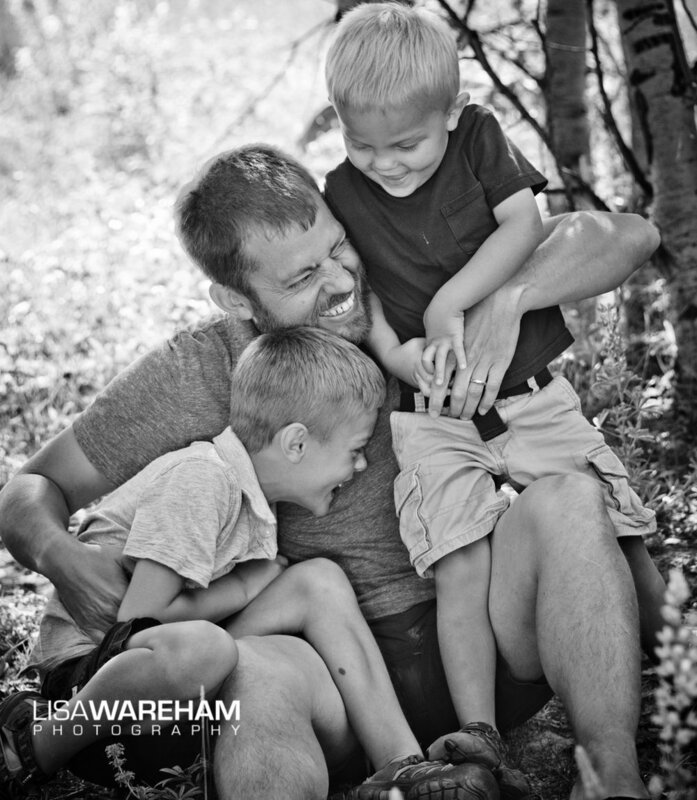 ...the way Dad throws Bryson up on his shoulder like a sack-of-potatoes- just like he does everyday after work..
For a full 45-60 minute session, email me at lisa@lisawareham.com and I’ll send you more info. P.P.S. 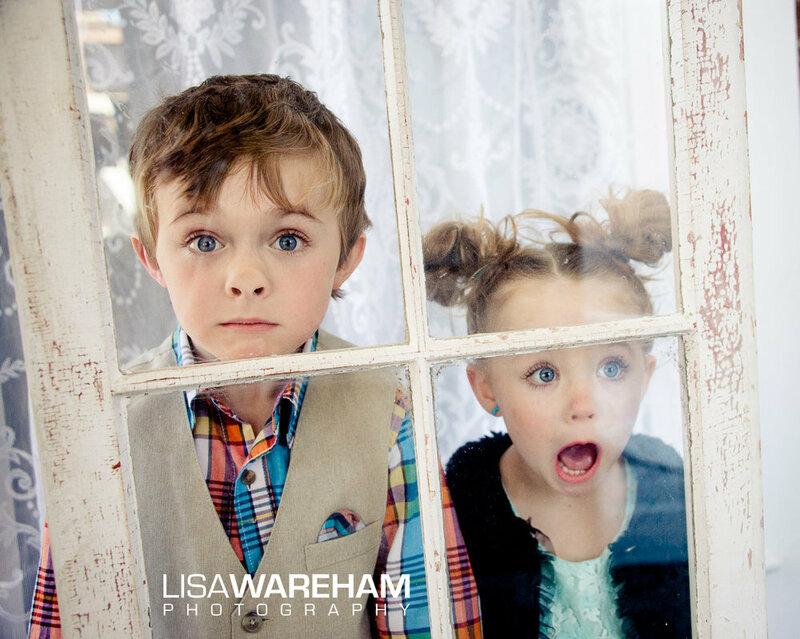 After you respond back with PS #1, check out the mini session early bird offer here.